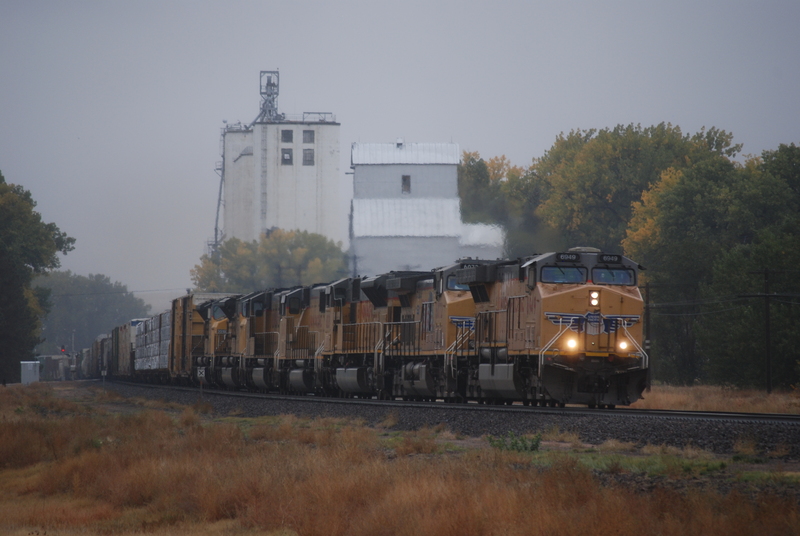 On the way home from our Wyoming hunt last fall, we drove through Lodgepole, Neb. one more time. Gorgeous weather quelled the protests from the truck’s back seat, and with windows open, everyone settled down with books and gadgets while Mom (that would be me) got out with her camera. I hope you enjoy some of the results as much as I did. 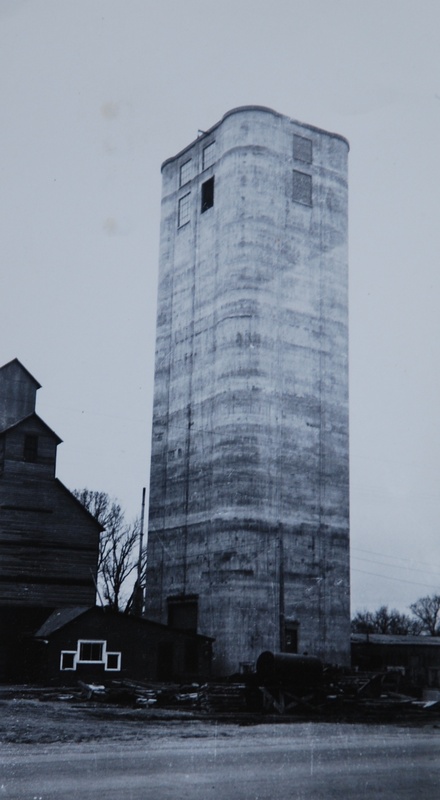 This elevator, built by J. H. Tillotson, Contractor, in 1948, still stands proudly along old Lincoln Hwy. 30, in a town that is still a tourist destination. No one seemed curious about a lady with a camera–seems like it’s not so unusual around here. 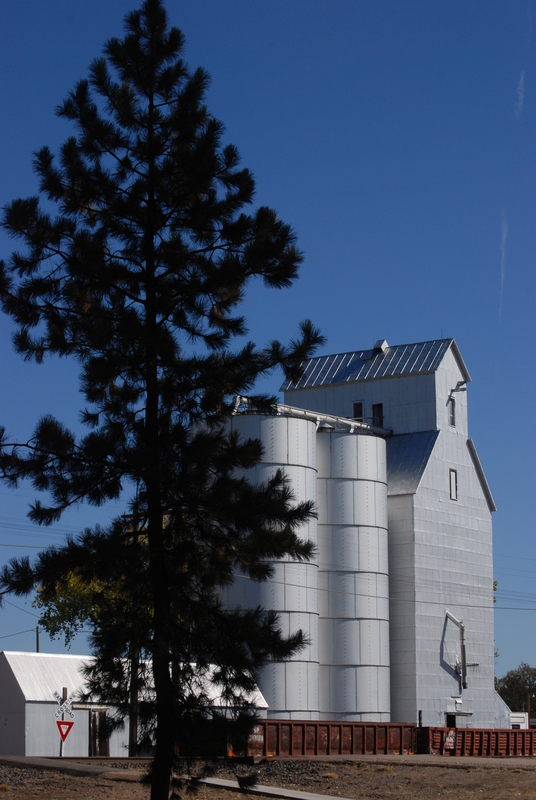 A track-side view of both elevators in Lodgepole, Neb. 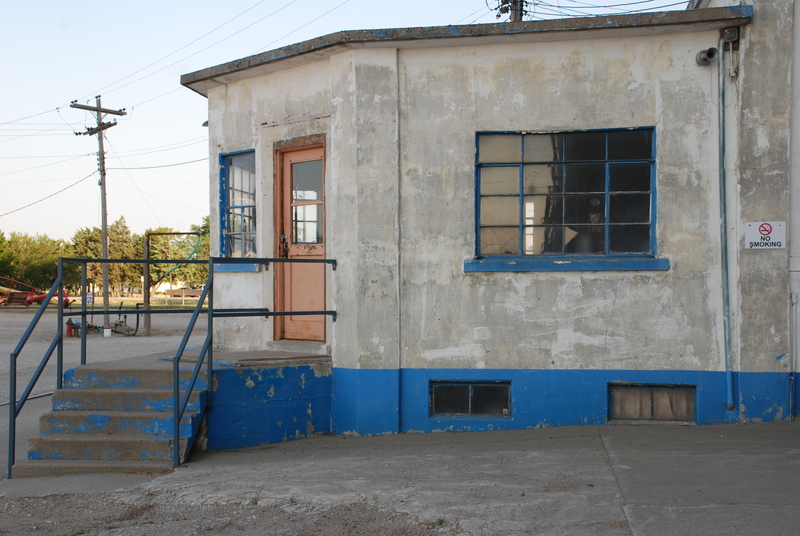 The wooden elevator in the town is still in use, less than half a mile down the rail line. It appears to be in spiffy condition and ready for business. 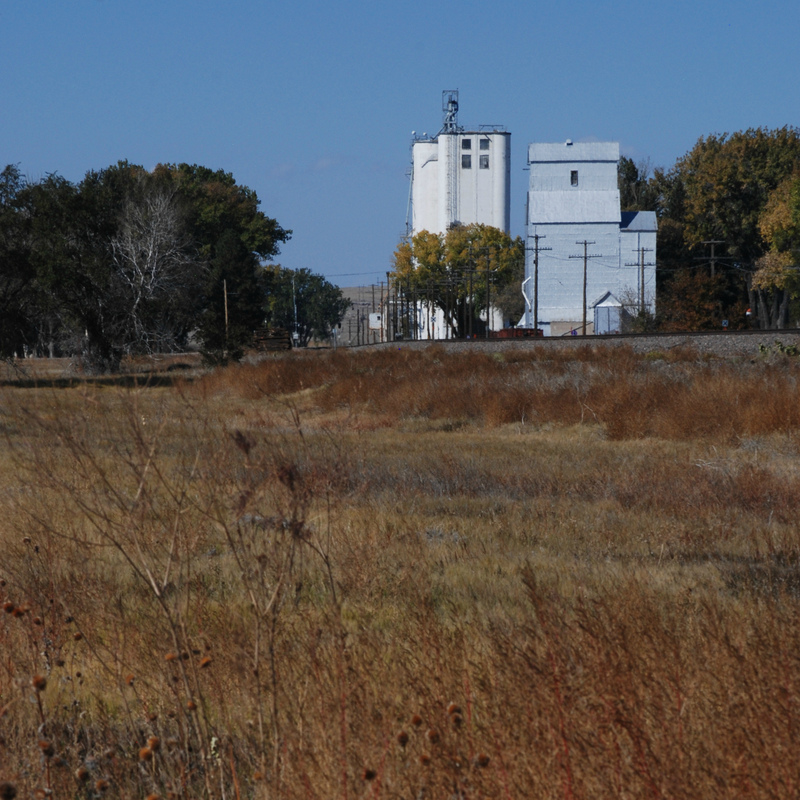 The town obviously takes pride in its agriculture and its heritage. 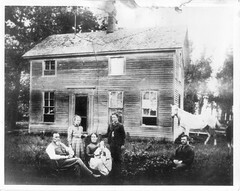 Happily, the history of the town intersects with the history of my grandfather, builder William Osborn, and our family. It has become a destination for us and a beautiful stop alongside the road. Even the kids grudgingly admit it isn’t too bad, for an elevator. 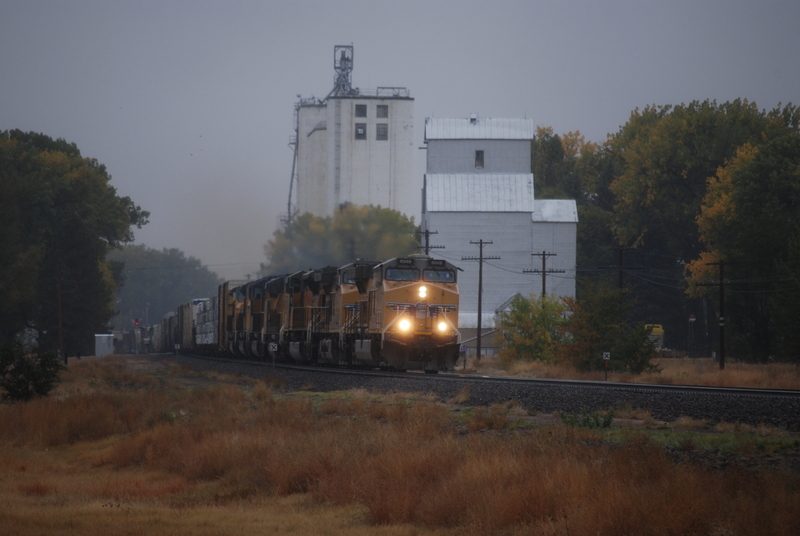 The Lodgepole, Neb. 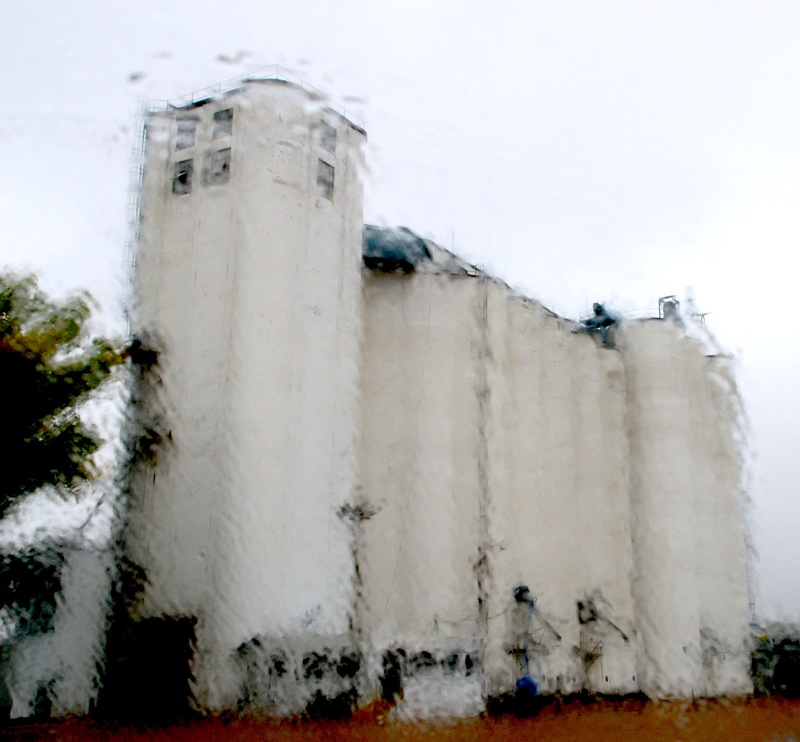 elevator viewed through a rainy windshield on a blustery day. 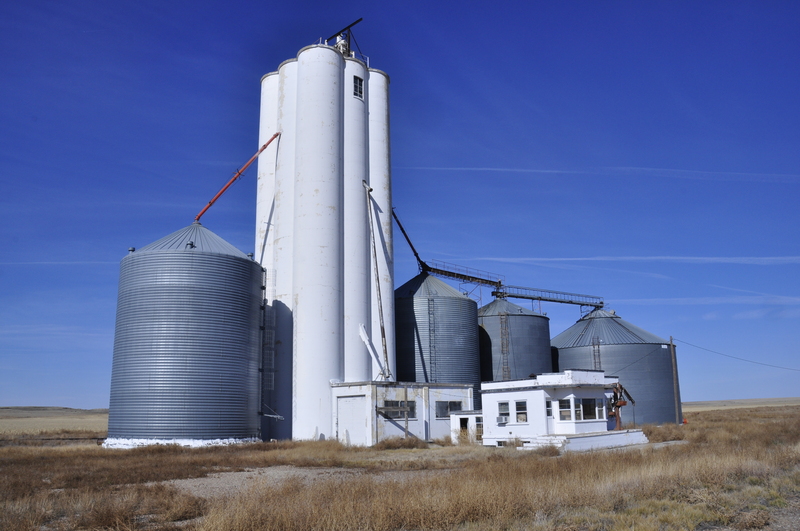 It was the heyday of elevator construction, and J. H. Tillotson, Contractor, of Denver, was riding the crest of the building wave, when a new elevator was begun along Highway 30 (the Lincoln Highway), in the sand hill country of western Nebraska. 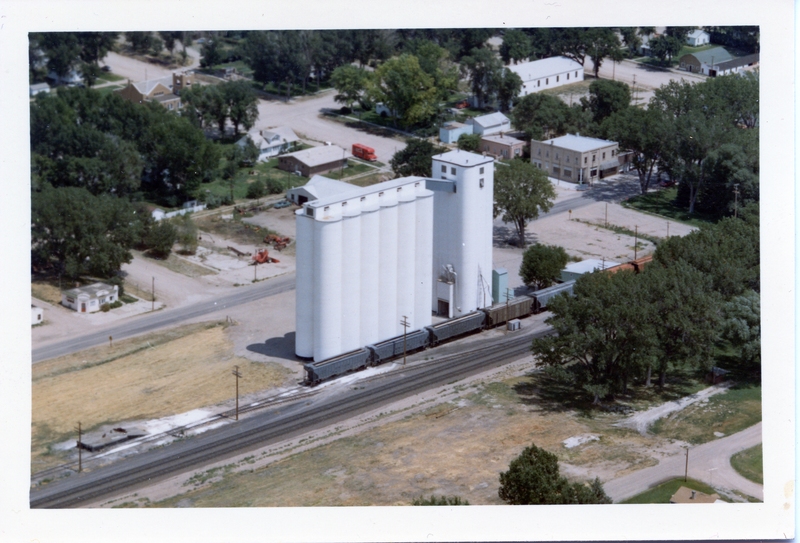 Lodgepole was a sleepy town along the rail line that connected Sidney to the west, with Chappell and Big Springs to the east. 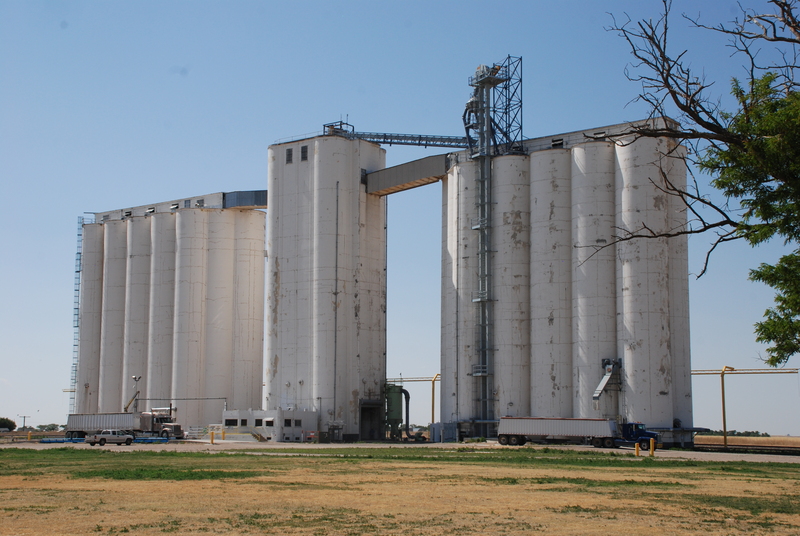 My grandfather, William Osborn, had been building for several years, and he accompanied Joe Tillotson to Denver when Joe made his break with the family business, Tillotson Construction of Omaha, and set out on his own. 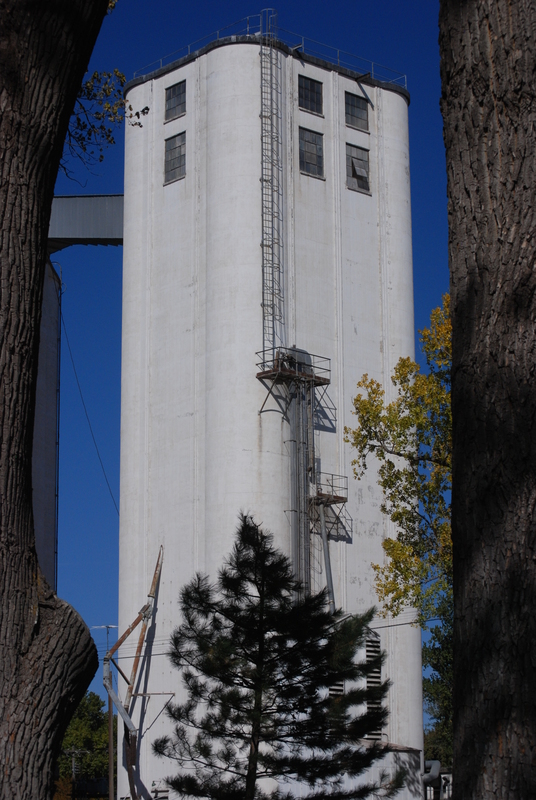 The new company had several projects under its belt, and several others ongoing in 1947, when Lodgepole’s elevator was started. Bill Morris, an employee poached from the parent company, was superintendent for the job. The dangers of the business were well known. But for the J. H. Tillotson company, fate was especially cruel, though the disasters that befell the builders were of a more mundane sort. In about March of 1947, Bill Morris was changing a tire on the side of Highway 30 near Lodgepole when a car struck him, and he was killed. 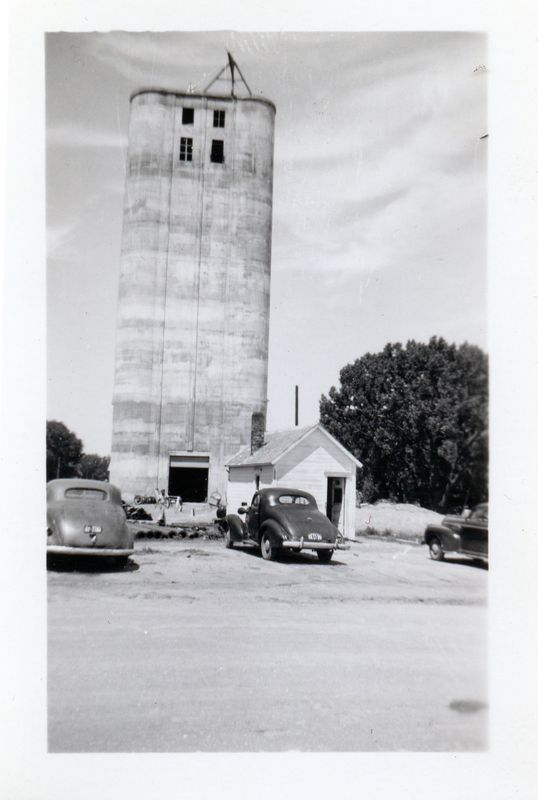 Of course the construction project went forth, and my grandfather played a role, since he had the experience to step in where Bill Morris left off. It was not long afterward that Joe Tillotson met his maker in a car accident–only a matter of a few weeks. In those days safety in vehicles was an afterthought, and the Grim Reaper was guaranteed a regular harvest. 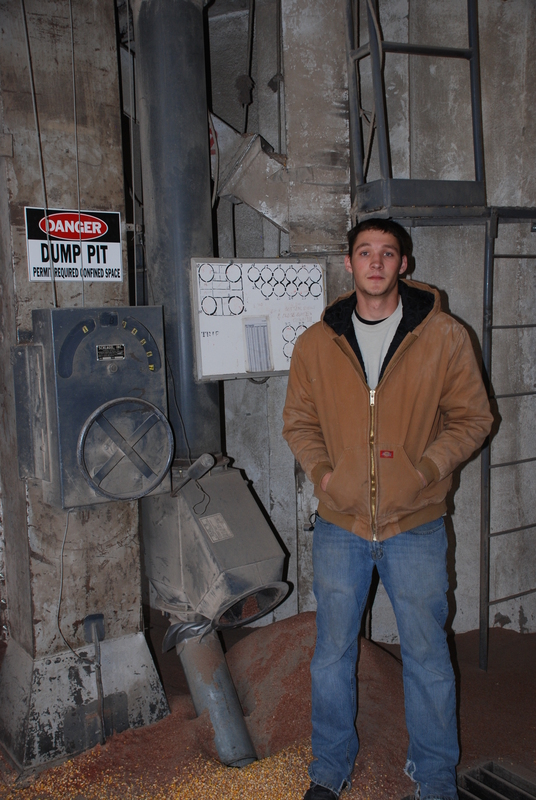 Joe’s death opened doors for my grandfather, since there were elevators to build and contracts to fulfill. By September of 1948, Bill Osborn had joined with Eugene Mayer, Joe’s brother-in-law, and together they formed the partnership of Mayer-Osborn Construction Company. 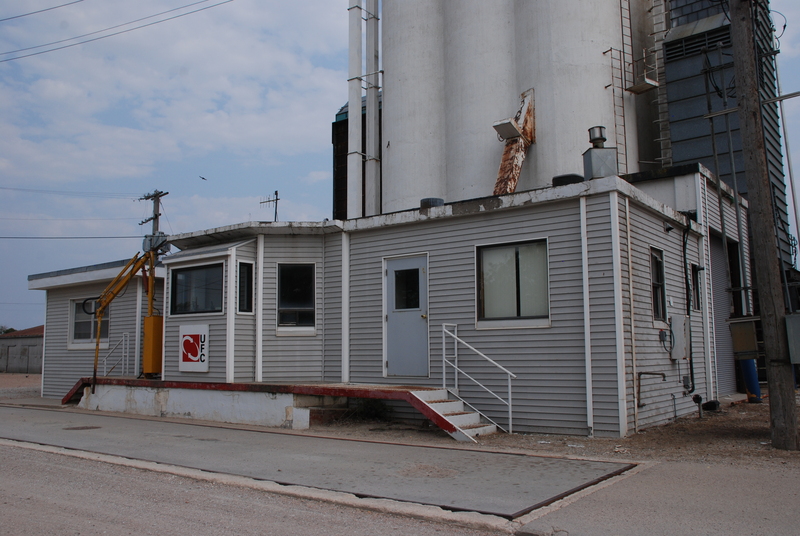 My dad said Grandpa had to put up some money to opt into the business, and then he continued as before, building elevators as fast as they would go up. 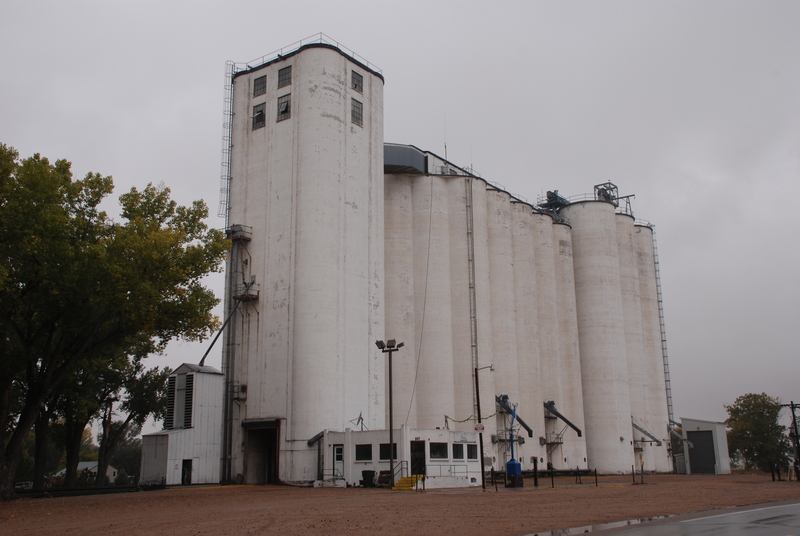 The McCook, Neb., elevator marked their first joint effort.